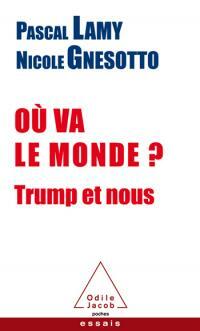 Tribune – La mondialisation a-t-elle besoin d’une gouvernance mondiale ? This Tribune is based on the speech delivered by our honorary president, Pascal Lamy, at the Tenth Raymond Aron Lecture hosted by the Center on the United States and Europe (CUSE) at the Brookings Institution in Washington on 28 October 2013. Robert Zoellick, former president of the World Bank Group, offered remarks in response. Pascal Lamy wonders if the globalisation is in need of global governance. 1. To start with, why do we need some form of global governance? 2. Why do we have a global governance deficit? 3. Some possible avenues to fill the gap. The transcript and audio file of the speech is available on the website of the Brookings Institution.